When we first found out that we would be spending the summer in Northern France with Eddy’s work of course our first consideration was travel. With two young children and a whole month to cater for it seems a natural decision to bypass the restricted leg room and luggage allowance of a plane ride, the torture of being cooped up in the car for what would feel like days on end when the littlest isn’t exactly a huge fan and head straight to the Ferry. 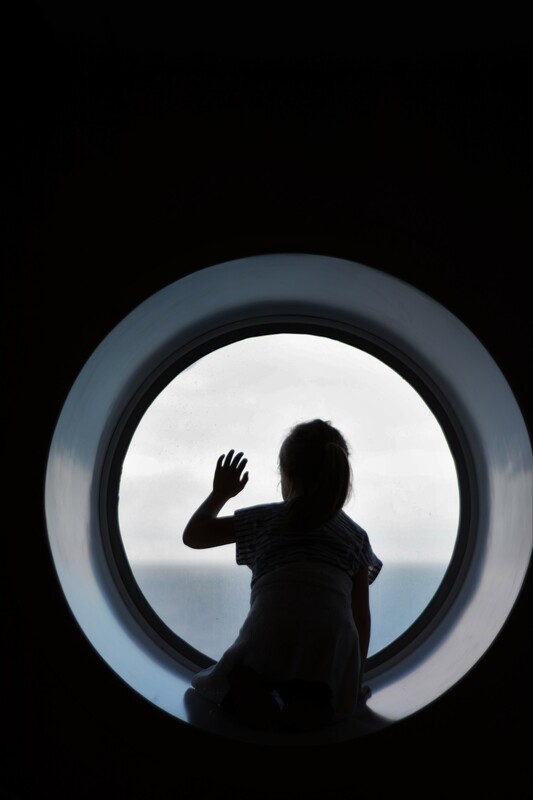 Having never travelled further than the hour and a half crossing from Dover to Calais when I was a teenager I have to say I was slightly nervous of how everyone would find it and how to keep the children entertained for the whole trip. 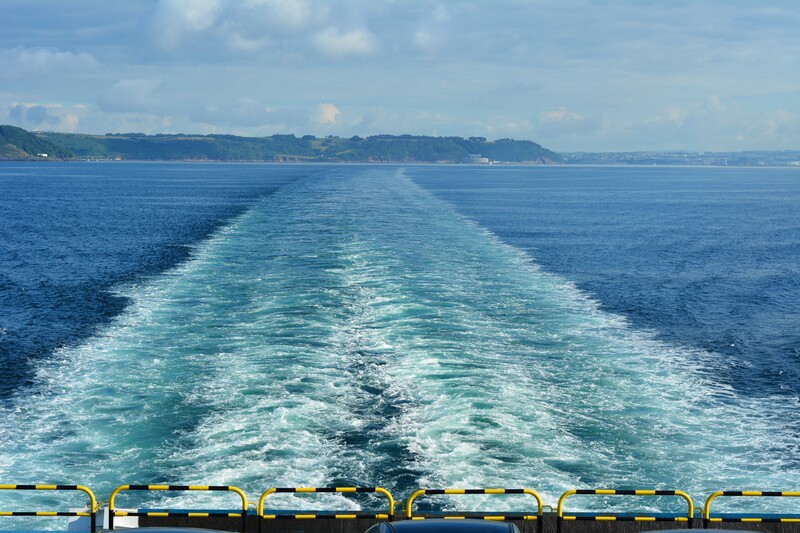 We sailed with Brittany Ferries from Plymouth to Roscoff which took 6 hours, this seemed like a really long time but as we were going to be there so long it felt worth it. The day before we had a slightly less than perfect 4 hour drive from home to a hotel where we stopped for the night before getting the early morning ferry. It’s fair to say no-one got very much sleep as the ‘family room’ at the hotel nearest to the Ferry port was on top of a bar complex on a busy Saturday night. Having got there about 10pm, the children hadn’t fallen asleep serenely in the car like we thought. The image of lifting them peacefully into their beds and eating Krispy Kreme quietly in the bathroom made way for the reality of putting up a travel cot ourselves, whilst the children wound themselves up even more jumping on the bed, and then dragging said travel cot into the bathroom an hour later in an attempt to stop the littlest shouting “Wakey Wakey” everytime someone dared to close their eyes. Exactly how every family holiday should start! Anyway, on a bright crisp morning we all got up bleary eyed and excited about our trip. As we drove up to passport control Eva was amazed just how big the Ferry was, I am quite sure she thought we would be going on some kind of small boat with its own oars. This didn’t take long and we drove straight on which was brilliant and before we knew it we were taking our seats. We paid a little extra to book seats in a lounge and whilst we found that there was always plenty of space to sit in the restaurants and all around the boat we did like the option of having a base and comfy reclining seats in a relatively quiet area. 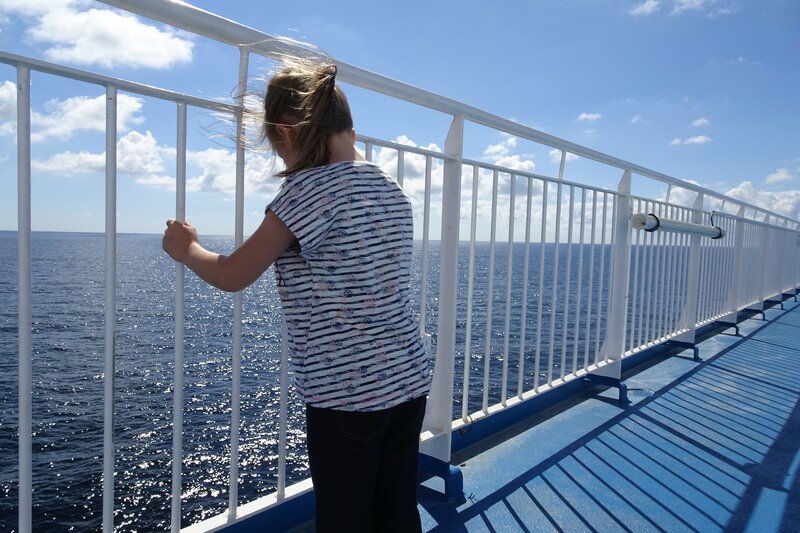 There was also an option to hire a cabin which again we did consider but for the ages of the children and the day time crossing we didn’t feel it was necessary. If we had a smaller baby I do think this would have been well worth the money though, a quiet place to store all the bags, ensuite bathroom and room to relax and put your feet up, feed in private or even have a nap. As we got to our seats we had realised that although we had been prepared and packed a bag of everything we needed from the car in advance, we hadn’t bought the pushchair with us for the littlest to nap. Once the car deck is locked you do not have access so thinking ahead of everything you need is key. Thankfully the staff were very helpful and offered to take Eddy down when they did the check of the dogs in the cars. 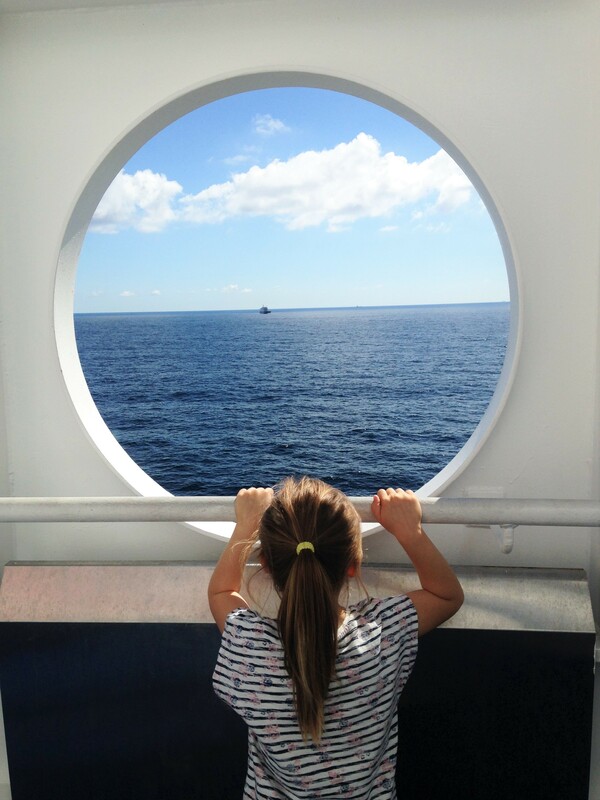 It was a such a beautiful day we felt very lucky, we were able to explore the ferry and whilst the littlest napped Eva and I went to the top deck where she could run around and marvel at the helicopter pad and I sat on the bench in the sunshine. We were pleasantly surprised at how much there was to do on the ferry too. There was a cinema (although this booked up really fast so I would ensure this is the first thing you look at if you want to get a seat), a small softplay area, an arcade, and shops. On the return journey there was even entertainment for the children, a magic show, competitions and a singer that Eva took a particular shine too, as did my sister! There were lots of restaurants too although personally I would bring my own food and water. The only (quite large) drawback we found was sea-sickness. With me suffering severely from pregnancy sickness in the past and a husband who even gets car sick if he isn’t driving and whom went green in the face when we went night fishing in the Maldives and swore never to do it again, there may have been a flaw in the plan. On the way there we would not have even known we were on water. It was smooth and to be honest we didn’t even have to think about it. The return crossing however was very different. Now everyone knows that the return leg of any journey is never quite as good as the excitement of the start of your adventure. But for the first two hours, it was like walking around with 100’s of drunk people bumping into things and falling over each other. 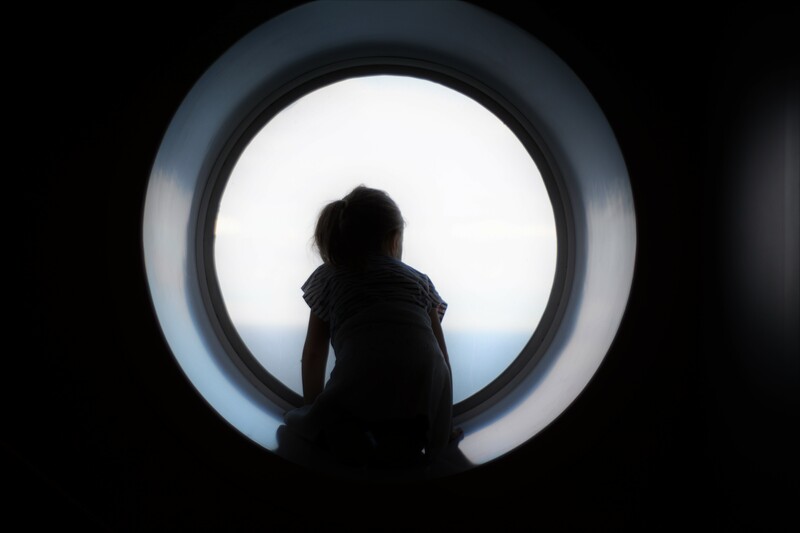 As you looked around at people lying in the middle of the floor, head slumped on the tables and children crying and being sick in paper bags it felt like some kind of epidemic had struck. My sister had flown out to us a few days before and had joined us on the ferry home and we were all very glad as we took it in turns to get some quiet time and I actually think we lost Eddy for a good hour. I tried to go and find him at one point but there was far too many places to look and eventually he turned up looking slightly whiter than when we left! Thankfully this seemed to calm down and I would still say that it was the best decision we made to travel by Ferry. As we explored Eva would sit for ages and look out to sea. 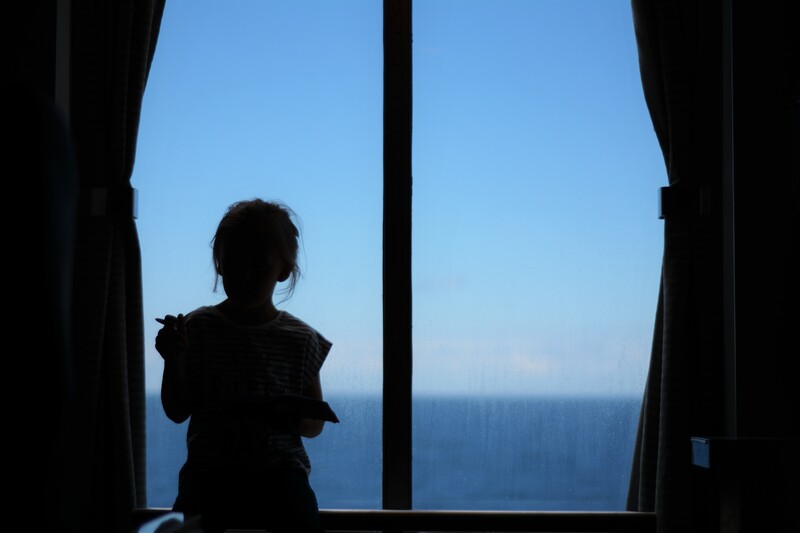 It’s fascinating that even though the scenery doesn’t change she was mesmerised and seemed to gain the same deep perspective that I get when looking out onto the vast sea in front of us. 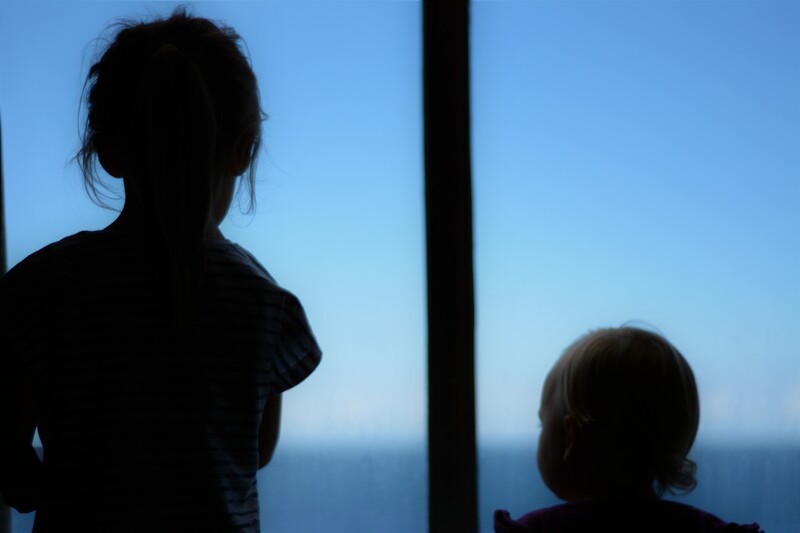 I got my camera and managed to get some photos which I absolutely love, they take me back to that moment and I have to say it was one of the best, stress-free and exciting ways to travel with children. The freedom of movement, activities and outside space meant that the crossing felt like an adventure in itself and not merely just a mode of transport. I would definitely recommend it and I would wholeheartedly do it again. 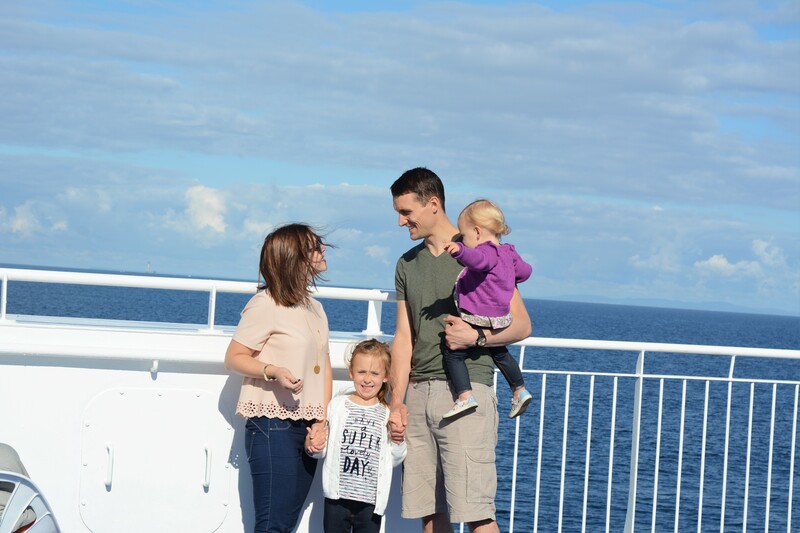 I am still in the process of putting together the four weeks we spent in France as unfortunately I have had a video editing issues but you can see our related outfit and beach days posts here. It was slightly too windy for family shots!